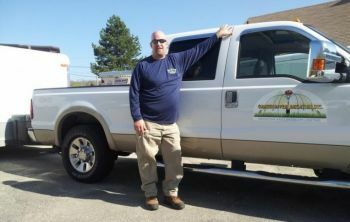 Dennis Hoffman, the proud Owner and President of Grasshopper Irrigation, Inc, has been providing superior residential irrigation and commercial irrigation in Tewksbury, Massachusetts and surrounding towns for over 22 years. Dennis Hoffman has dedicated over 22 years ensuring that the staff at Grasshopper Irrigation, Inc are the most qualified for each and every irrigation service provided to the Tewksbury area. The dedicated staff are experienced irrigation technicians who provide guaranteed customer satisfaction and timely service at a fair price. Since 1997, it has been our goal to build long-lasting relationships with each of our valued customers. As a family owned and operated company, we are small enough to understand the importance of providing unbeatable service, but large enough to take on the most challenging commercial and residential irrigation projects in the Middlesex County and Essex County areas. Give Grasshopper Irrigation, Inc a call today for a free on-site irrigation analysis. Whether you are looking for a Tewksbury irrigation system installation or for a reliable company to provide regular irrigation maintenance to your existing Tewksbury system, Grasshopper Irrigation, Inc is prepared to provide you with unparalleled irrigation sprinkler system service. When you choose Grasshopper Irrigation, Inc for your Tewksbury area home or business irrigation system or lighting system, the end result will always be a beautiful home! Give Grasshopper Irrigation, Inc a call today for a free on-site irrigation analysis. Want to Pay Less for Your Water Bill? Upgrade your Tewksbury area irrigation system to a WiFi Controller & SAVE 20-30% OFF your water bill! Call (978) 252-0752 to learn more. Make sure your irrigation specialists are friendly, experienced, and professional.